Lavery is pleased to announce that 46 of its lawyers have been recognized as leaders in their respective fields of expertise by The Best Lawyers in Canada 2019. « Lavery is very proud of the rigour and expertise shown by all our professionals. The ranking of 46 of our lawyers among the most influential in their field confirms our leading role as the largest independent law firm in Québec. Congratulations to all! » said Anik Trudel, Lavery's CEO. 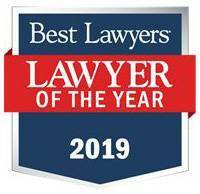 Raymond Doray, a partner at Lavery, also received the Lawyer of the Year award in the 2019 edition of The Best Lawyers in Canada.